Cinnaminson Baseball representing New Jersey proudly at Cooperstown Tournament. For many youth baseball players, summer is filled with days and nights spent at the ballpark. Local tournaments fill up the summer schedule, while plenty of teams look to advance in the district, regional or state competitions as well. 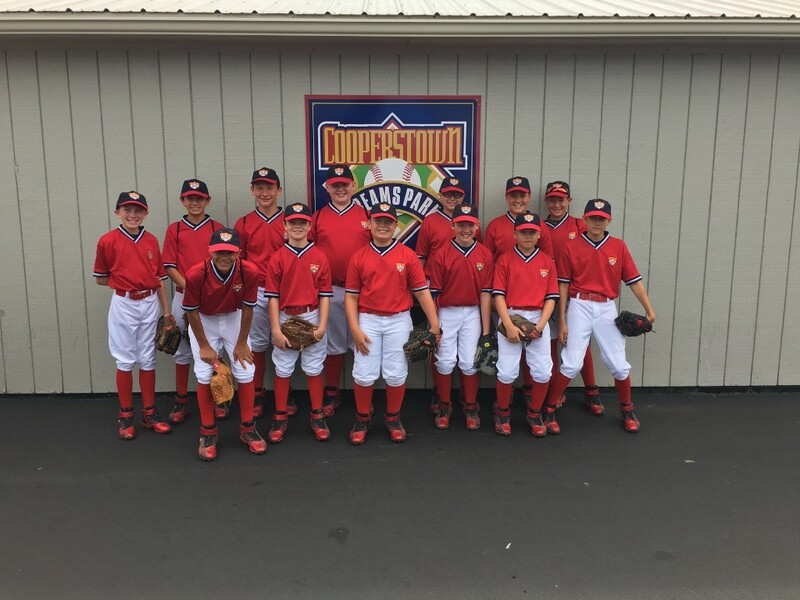 The Cinnaminson 12U baseball team got the chance of a lifetime this summer, participating in a weeklong trip to Cooperstown, N.Y., home of the Major League Baseball Hall of Fame. While seeing the sights and catching up on baseball history, the team also participated in a tournament that featured 105 teams from around the country. Cinnaminson Baseball has participated in this yearly trip to Cooperstown since 2005, with a different group of players getting the opportunity to go. However, the process to go is one that takes 365 days of the year to complete. Fundraising is a huge part of the opportunity to head to Cooperstown. Each family pays $1,000, then fundraising takes over the rest, according to Kravil. In 2016–17, the team raised approximately $33,000 for this July’s trip to Cooperstown. The team has worked to improve not only on the field, but also off it as well, as the players near their teenage years. Many on the team have been together for several years and have also seen new faces join the program. Through it all, they have earned the opportunity to play at Cooperstown and represent their town proudly. Cinnaminson fell 12–4 to Mountville, PA, 19–11 to Las Vegas (NV), 20–1 to New Berlin, WI, 17–3 to Encino, CA, 23–2 to CFL, FL, and 14–2 to Lakeview, LA. They opened their elimination round on Wednesday with an 8–5 victory over the Wheeling Nationals, WV, before falling 12–0 to the Julington Creek Slammers, FL. For more information regarding Cinnaminson Baseball, check its website at http://www.cinnaminsonbaseball.org/.